A DESCRIPTION FOLLOWS EACH IMAGE OR EACH GROUP OF IMAGES. 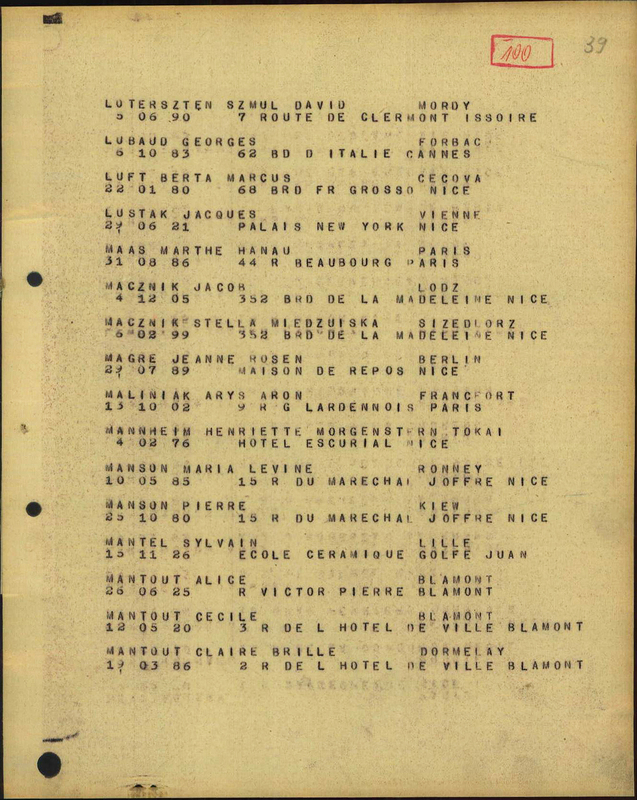 The above five images document Mącznik's deportation from France to Auschwitz. 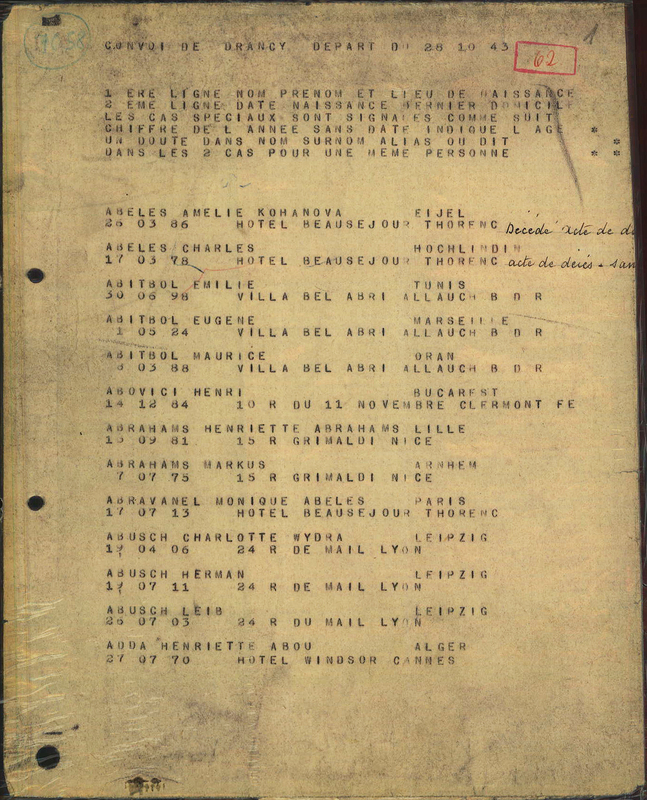 The first two documents are in French; they are from the convoy list of 28 October 1943 from Drancy. 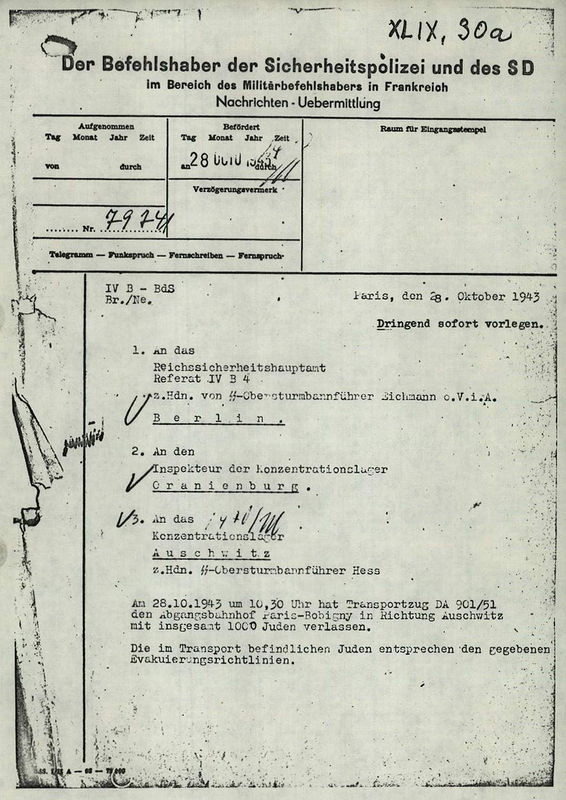 The middle image is a copy of the actual written message/transmission from the office of the Commander of the Security Police and the SD (the latter, the Sicherheitsdienst, being the intelligence agency of the SS and of the Nazi Party); it indicated departure of the train carrying 1000 Jews from the "departure station" in Paris (Bobigny, a northeastern suburb of Paris) toward Auschwitz at 10:30 am and was sent: to SS Lieutenant Colonel (Adolf) Eichmann at the main security office in Berlin, to the inspector (located in Oranienburg) of the so-called "concentration camps," and to SS Lieutenant Colonel (Rudolf) Hess as commandant of the camp at Auschwitz. 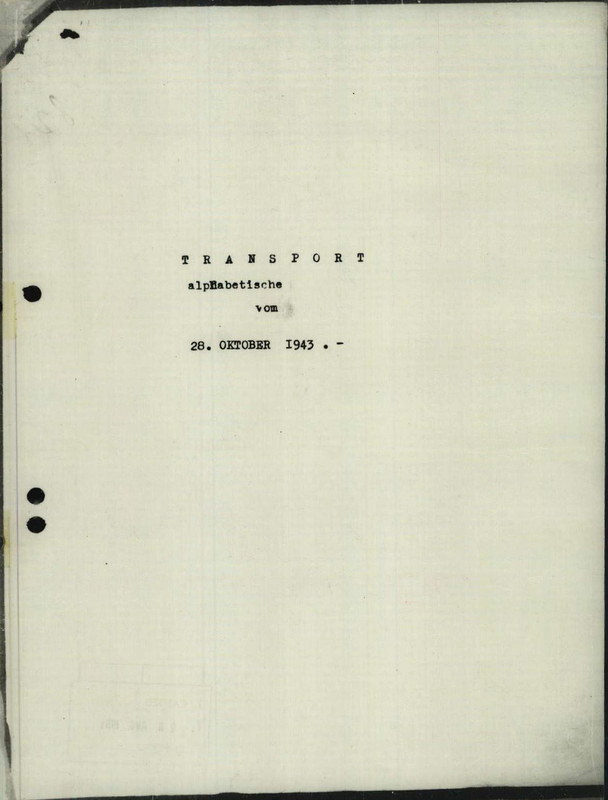 The final two documents are the cover page and the page relevant to Mącznik (and to his wife) of the transport list. One can see that Stella Mącznik, his wife, was 5-6 years older than Jacob Mącznik; his occupation is listed as "art-painter," while hers might be translated as "tailor" or "dressmaker." 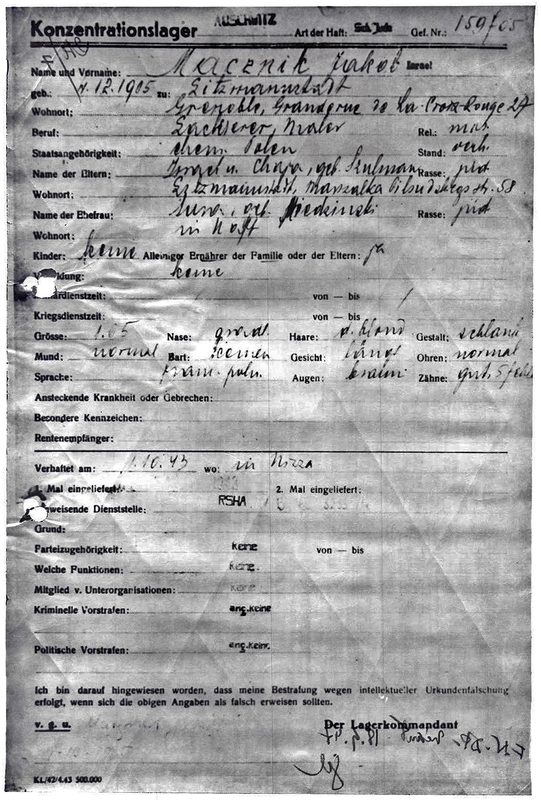 Above a copy of the actual registration form of Mącznik at Auschwitz "concentration camp" (actually a mass murder camp). At the lower left hand corner, one can barely make out his faint signature, purportedly acknowledging the printed sentence above, that he has been advised that his punishment will be for document forgery if the above information is false. The form indicates much personal data (family members, address, occupation, etc. 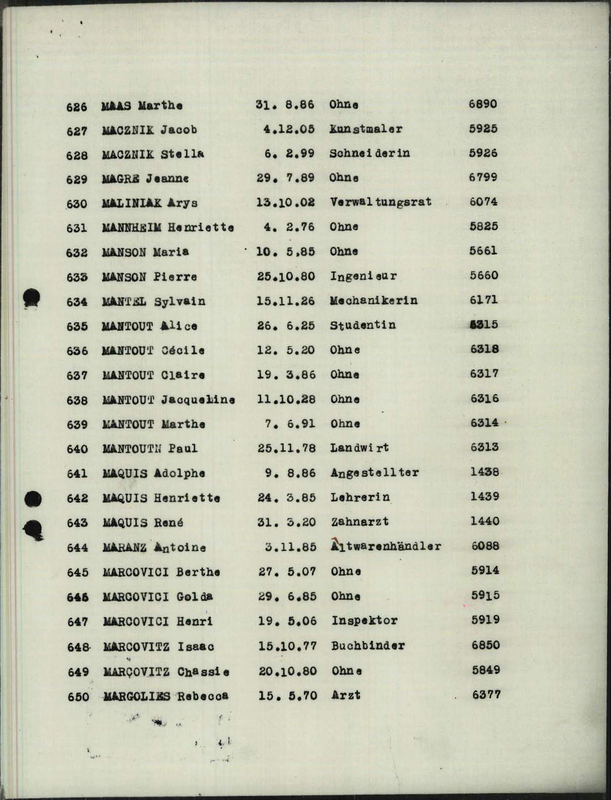 ), and that his type or category of detention/imprisonment was "Born Jew."